The Sakai are one of the oldest and most prominent clans of the Tokugawa Shogunate. The Sakai count as one of the four chief minister families of the Edo era, with the feudal rank of Fudai Hitto. Many chief ministers and members of the Council of Elders are chosen from the family, which holds the appointment of Utanokami. In the Sakai Clan garden near Edo Castle’s Ote gate, the main grave of Masakado Taira is enshrined by the family, with the memorial service performed by the Chief Priest of Sofukuji. On September in the 12th year of Taisho era, the temple was destroyed by the great Kanto earthquake and was subsequently moved from Asakusa to Takasago in the 3rd year of the Showa Era. 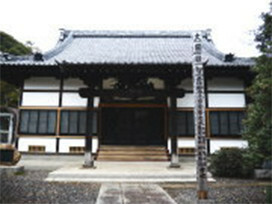 The main temple, main gate, and bell tower was rebuilt in the 8th year of the Showa Era. Graves of successive Sakai Utanokami are located at Ryukaiin in Maebashi City of Gunma prefecture. Here in Sofukuji lie the graves of the Sakai Utanokami and the Sakai family of the Isesaki domain. The Sotoshu name is originates in the two Chinese Zen priests, “To” of Touzan Ryokai and his disciple “So” of Souzan Honjyaku. 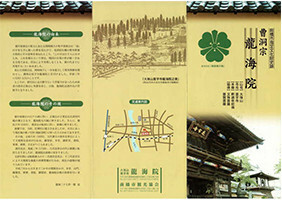 Dougenzenji, the founder of Sotoshu, moved to Sou in China in the Kamakura Era and studied Zenshu for 5 years before opening Eiheiji in Fukui prefecture of Japan. Dougenzenji taught us that doing Zazen earnestly is the best meditation practice, and is the very heart of Zen. 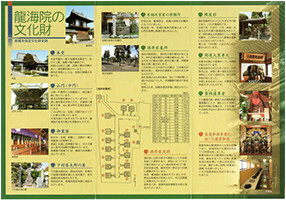 and now Sotoshu has over 15,000 temples throughout Japan. As the founder of Sotoshu, Dogen has brought the teaching of Buddhism from China and by the 4th generation, Keizan teachings based on Sotoshu had spread throughout Japan. We consider Keizan to be like a mother and Dogen to be like a father of our lives in Japan. Therefore, there are 2 head temples; Eiheiji in Fukui prefecture opened by Dougen and Soujiji in Yokohama city opened by Keizan.